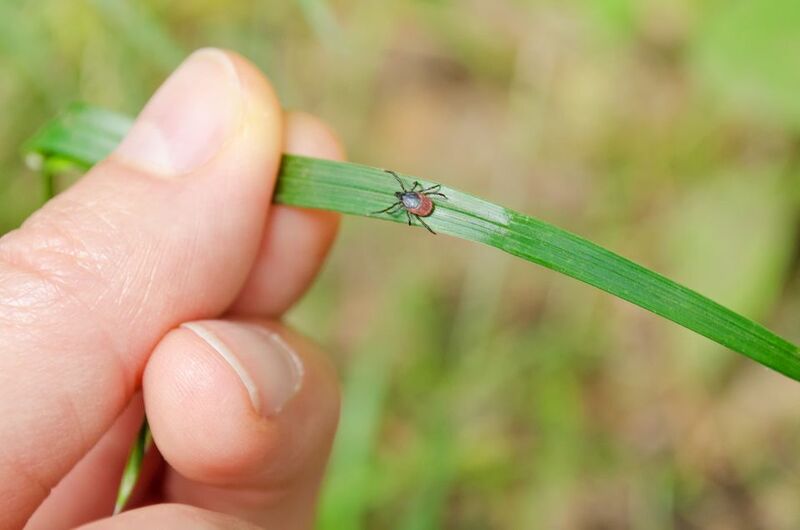 The history of Lyme disease in Connecticut began in 1975 when a cluster of children and adults residing in the Old Lyme area experienced uncommon arthritic symptoms. By 1988, the news of Lyme disease spread and national media attention began. Lyme has now spread to almost every state in the United States, with most cases occurring in Connecticut. The first Lyme disease vaccine became available in 1997. However, the manufacturer withdrew the vaccine from the market in 2001 due to safety issues, lack of effectiveness and class action lawsuits. This has left a lot of confusion in the medical world on how to treat Lyme Disease. Lyme disease is called “The Great Imitator” as it can manifest in a variety of ways, leading to frequent misdiagnosis. Additionally, in most cases, the tick bite is not found. For example, a patient of mine presented with shoulder pain. After getting a negative result with the common medical tests for Lyme, I performed a more extensive Lyme test and it came back positive. It would have been easy to miss the symptom and mistreat the condition as arthritis. It’s important to know that conventional Lyme testing can be incorrect 50 percent of the time and there are a variety of co-infections that may not be tested for. But, classic symptoms of Lyme could include a bulls-eye rash and flu-like symptoms. Later, this leads to joint pain and neurological impairment. Equally disturbing symptoms could include heart problems such as palpitations, liver inflammation, eye inflammation, severe fatigue and more. Chinese Medicine: Chinese medicine views infections as Toxic Heat. The advantage is that it doesn’t matter what kind of microbe it is. If it’s the right herbs, it will help. Ironically, Western science has supported the use of certain herbals as effective anti-microbial. I find that the addition of acupuncture therapy also opens up the circulation so the herbs can penetrate the body deeper to get to all the pathogenic particles and support good immune and organ function. After treating dozens of cases of Lyme, I have learned that it is a two-pronged approach: Clear the infection and repair, naturally, any damage to the body by the disease, such as immune weakness, hormone changes, organ toxicity, etc. Many of the symptoms of Lyme mimic auto-immune diseases such as Lupus and rheumatoid arthritis. In fact, there is a theory that once the actual microbes are gone, the immune system behaves as if the organism is still there. Homeopathy is a system of medicine that involves treating the individual with highly diluted substances, with the aim of triggering the body’s natural system of healing. A very well-tested protocol we use combines the best of herbal therapy with homeopathy-based remedies to help beat this disease. The protocol has been clinically researched in Europe and used by many Lyme-literate doctors in the United States. There is still quite a bit of controversy as to the direction to pursue with chronic Lyme disease. Choose the approach for you, expect and receive results or move to another form of care. Expect your body to work miracles for you and it will. Dr. Kenneth Hoffman, DACM, L.Ac. CCH, is the medical director and founder of Sophia Natural Health Center in Brookfield, CT. He has performed more than 60,000 acupuncture treatments on over 7,000 patients since starting his practice which has now grown into the busiest clinic of its kind in the state of Connecticut, with multiple locations. The system of medicine he has founded, Integrative Natural Medicine, is a unique blend of his years of experience and combines the best of Eastern medicine and modern functional medical sciences. He is the host of the local radio show, “The Natural Medicine Connection” on 800 AM WLAD. The office number is 203-740-9300 or visit the website at www.inm.center.